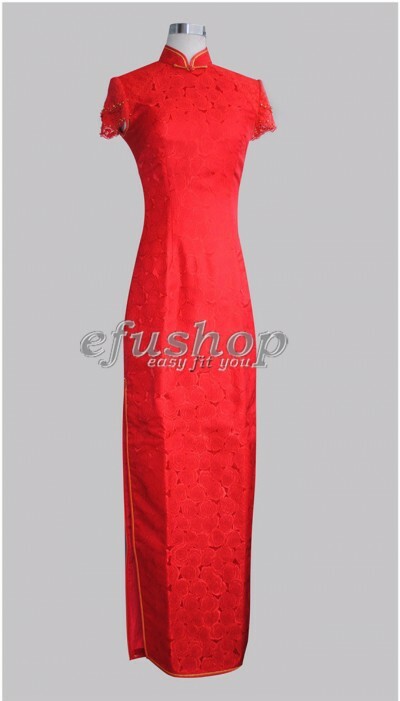 Red traditional Chinese cheongsam dress. Red rose silk brocade. Mandarin collar. Cap lace sleeves with golden beads adorned. Double piping, line buttons. Double slits. Ankle length. Elegant bridal qipao dress.